deputy chief of Roscosmos Denis Lyskov said on Monday, according to the Chinese Xinhuanet news site. "We are looking into various options, while building an orbital station as a substitute for ISS is one of them," Lyskov said, without giving any further details. Earlier in the day, Moscow's Kommersant business daily reported that Russia has been designing a multi-function orbital station using part of the modules constructed for the ISS. According to the Kommersant, the station to be placed on a near-polar orbit would serve as a transit base for the Russian Moon program, as well as to monitor 90 percent of the Russian territory, which is more than the vision field of the ISS. However, according to an unnamed source in Roscosmos, there might be a lack of financial support to build Russia's own orbital station, Interfax news agency reported. "Media reports on Russia's plan to build and put on orbit a new space station in 2017-19 are false," the source said, adding that the new orbital modules currently under construction are intended to be docked with the ISS by 2017, not to comprise Russia's own orbital station. 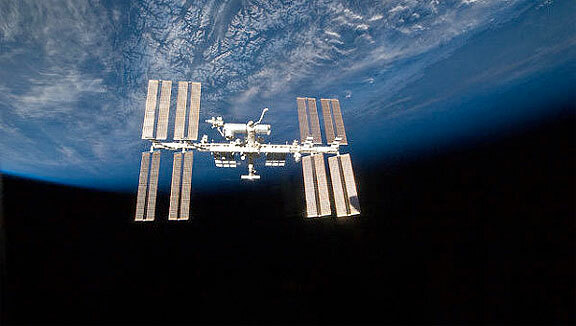 Russia plans to stay in the ISS program until at least 2020, according to the source. In May, Roscosmos said Russia has been developing a national program of manned space explorations which will replace the ISS program after 2020.